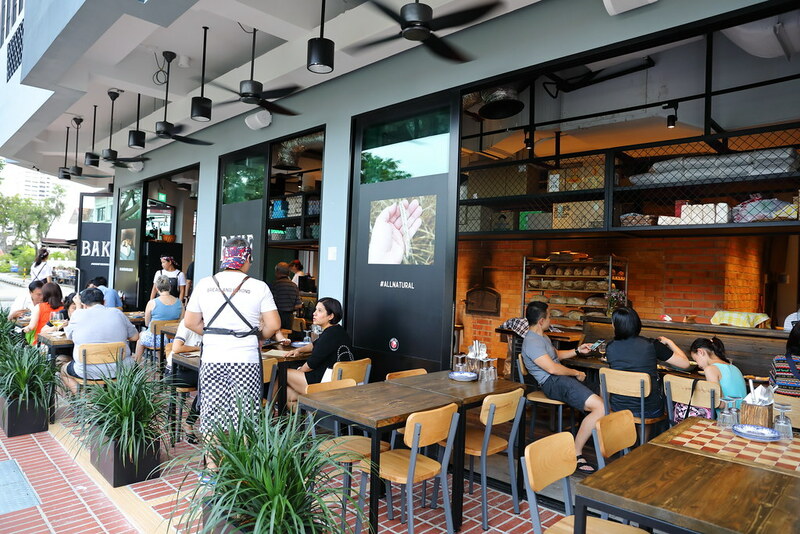 Something new but yet old has descended at East Coast Road, firing the community spirit of celebration through breadmaking, food and tradition. Firebake is a new woodfired bakehouse and restaurant at East Coast Road, using the European historical methods of sourdough breadmaking. 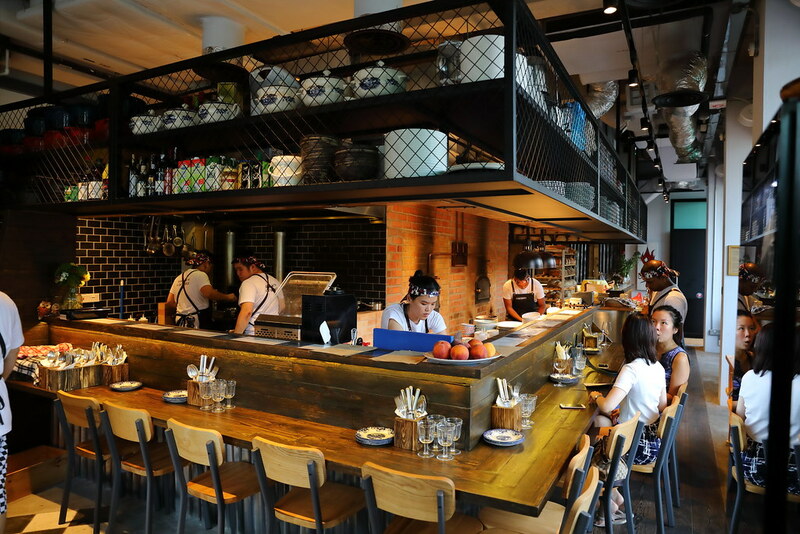 It also features contemporary dishes cooked with traditional European techniques, which complement and showcase the range of woodfire baked sourdough bread. Taking centre stage is the twin woodfire oven that is hand built from 5000 bricks weighting 37 tonnes. The 4 different sourdough bread - Organic White Sourdough Loaf ($8), Organic Wholemeal Sourdough Loaf ($9), Organic Rye Sourdough Loaf ($11) and Organic Sourdough Fruit Loaf ($13) are all baked in house. 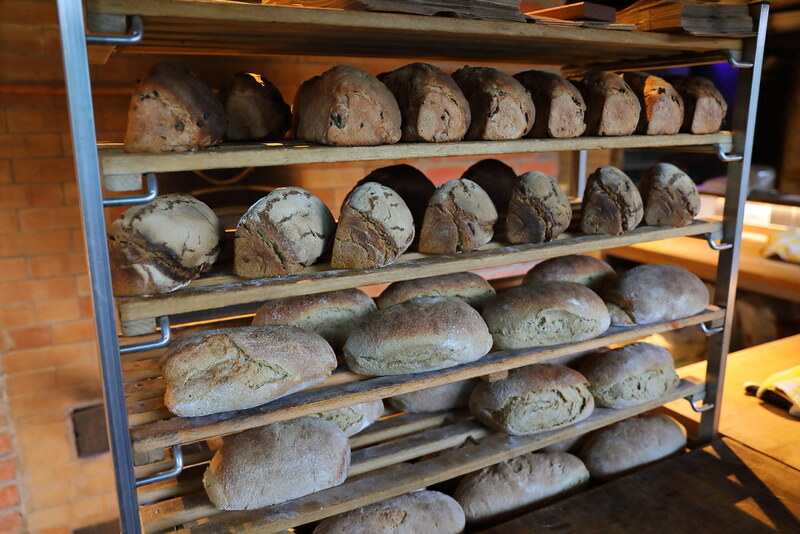 Everything here is done on site from the milling of flour, mixing, fermentation, shaping, proofing and baking. Firebake is all about back to basics. 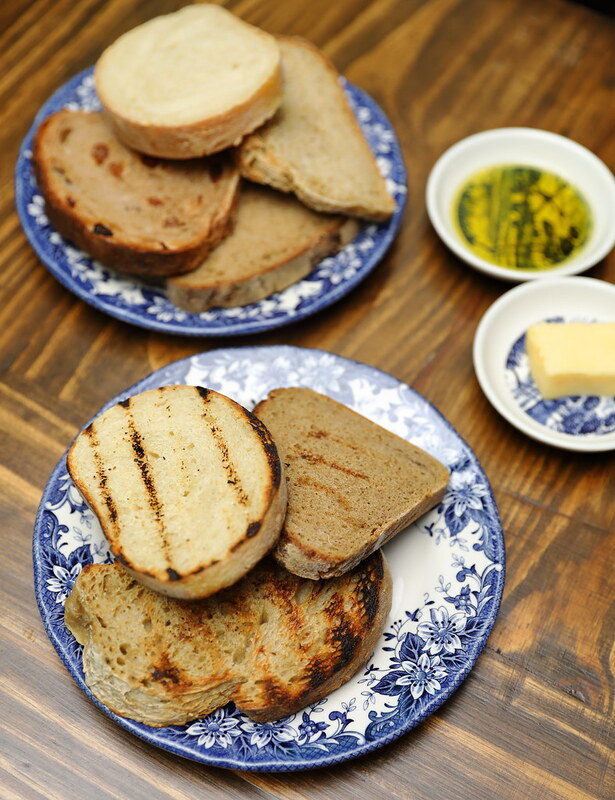 The best way to get a taste of the different sourdoughs from the oven is the Firebake Bread Board With Greek Extra Virgin Olive Oil and Butter ($10). My favourite is the fruit sourdough but individually they have their own characteristic and fans. You can also ask for the kitchen to have the sourdoughs toasted for the extra crisp. For sourdough lovers, there are many ways to enjoy the freshly baked bread. 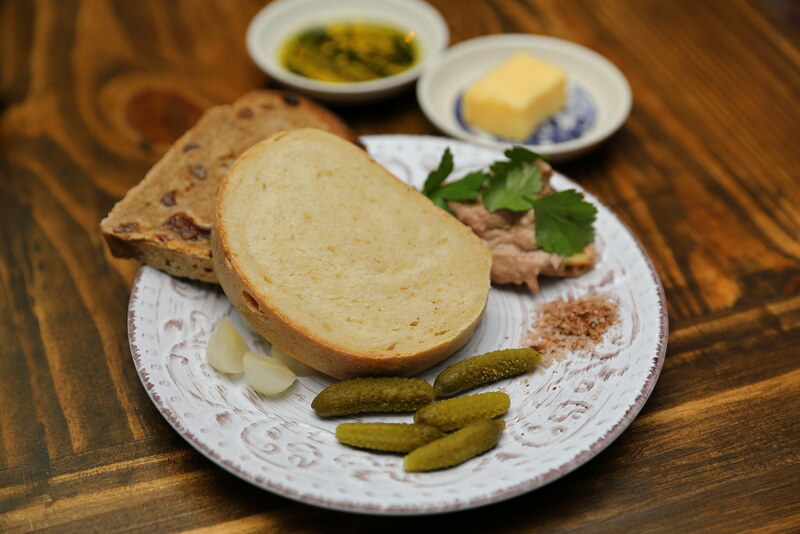 One of which is the 4-Spice Chicken Liver Pate ($12) which comes with in house cured pickles and onion. A favourite of mine is the Anchovy Dip, The Field ($8). 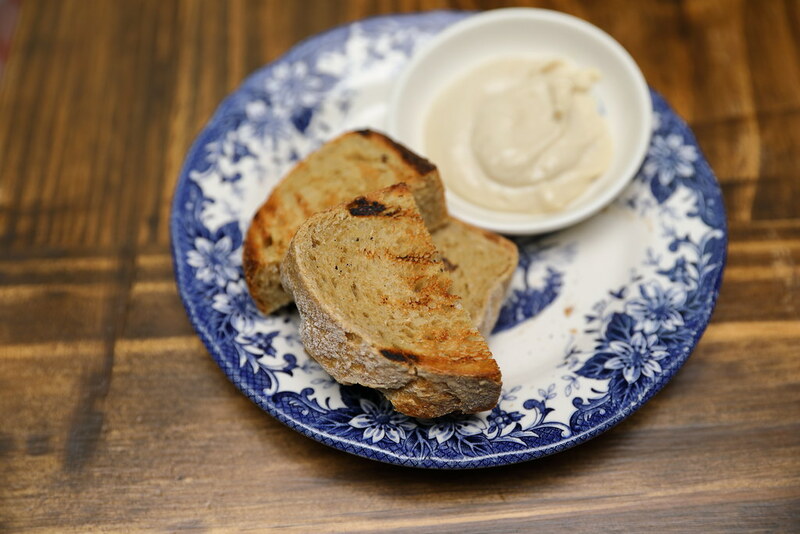 The organic wholemeal sourdough is paired excellently with the savoury anchovy dip. 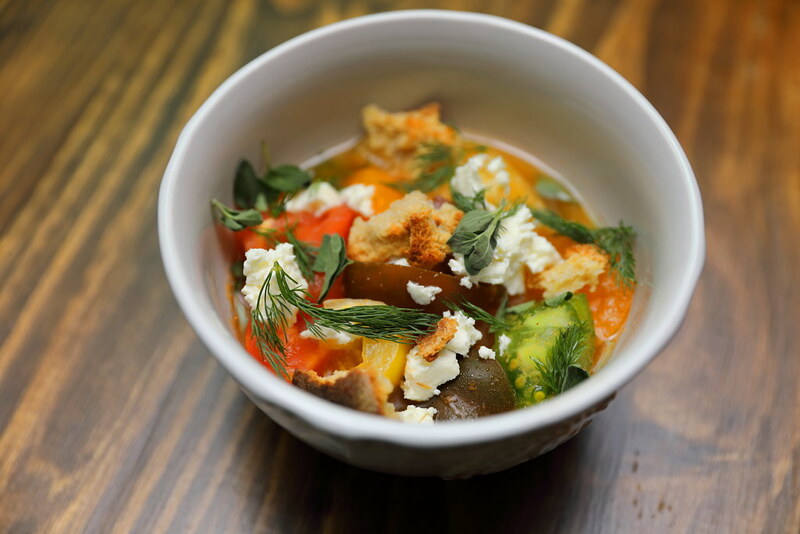 From the small plates menu, there are many delectable items such as the Heirloom Tomato ($17) which comes in a pretty bowl of pickled cucumber, feta and mountain oregano. The version at Firebake is rather interesting with a layer of smokiness from the charcoal oil holding the different flavours together. It is interesting but I thought the smoky flavour was too strong, masking the sweetness of the tomatoes. I know not many people like eggplant and there is also very limited way of cooking the dish. 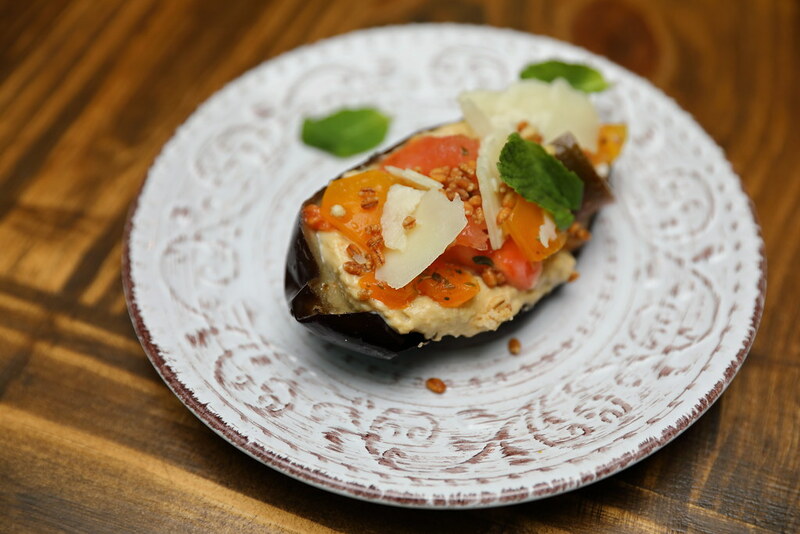 What Firebake has done is to smoke the eggplant and stuffed it with spiced hummus. The Smoked Eggplant ($15) further topped with tomato manchego, cheese and crispy barley for the additional contrast of textures and flavouts. 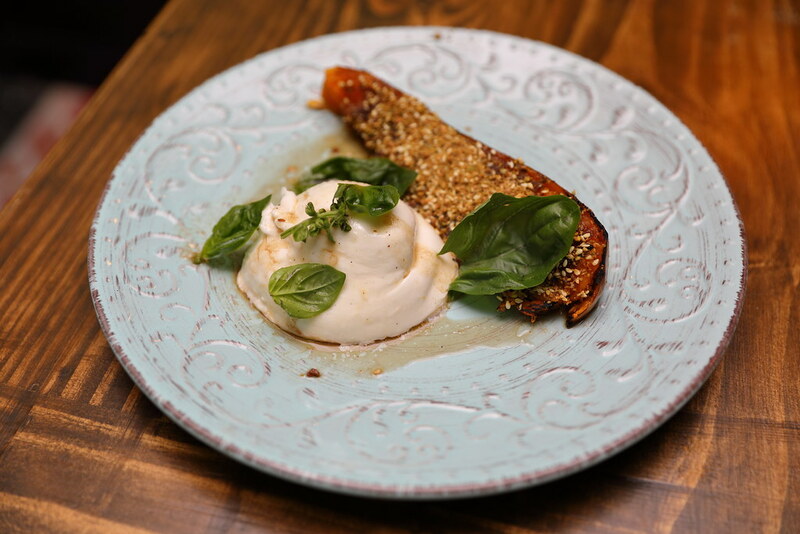 Pairing Woodfired Pumpkin and Burrata ($16) is a rather new combination. I like how the sweetness of the grilled pumpkin is complemented by pistachio dukkah for a nutty finish. There are even orange blossom and molasses to further enhanced the enjoyment. 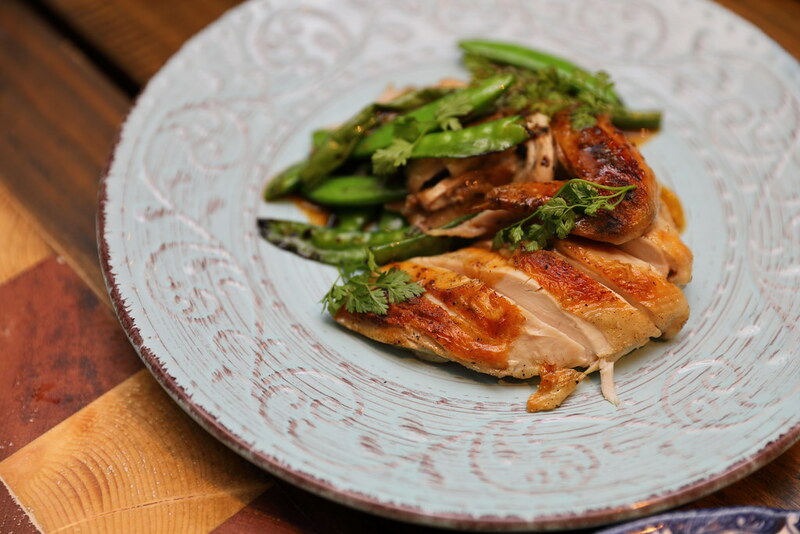 The Roast Half Spring Chicken and Grilled Beans ($23) comes with both chicken leg and breast meat dressed in beef jus. It is brined, sou vide and roasted to perfection, giving the chicken a nice tender texture. It is something homely and comforting which I will go back for. The dish I heart most is the Norwegian Blue Mussel ($25) which is cooked with lager and chrizo. 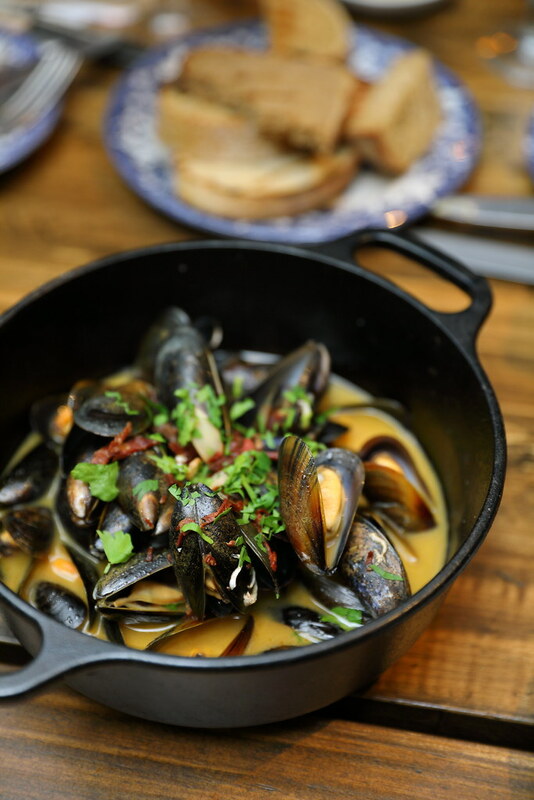 Besides the juicy mussel, the highlight has to be the sauce and it is best to soak them up with white sourdough. 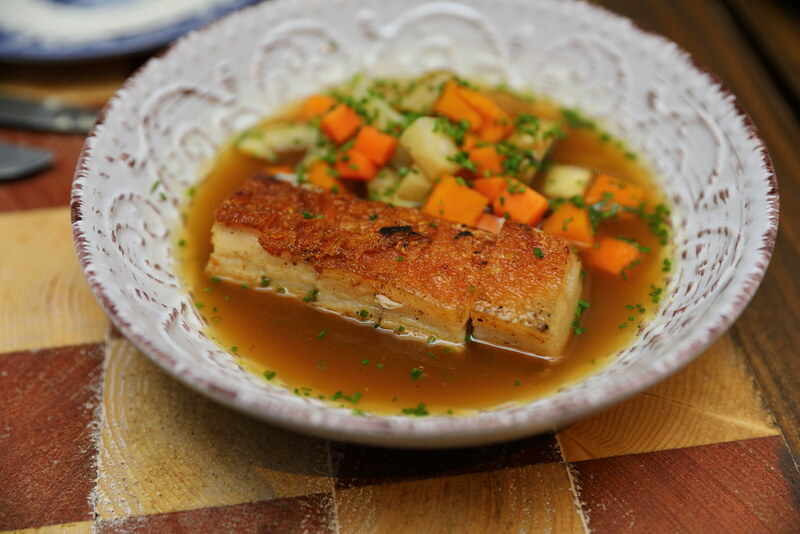 A popular dish among the group is the Grilled Pork Belly with Garden Vegetable Broth ($22). The broth is made from vegetables such as celery, fennel and pumpkin. The taste of pumpkin is quite prominent lending the sweetness to the light broth. The pork belly which was sou vide and pan fried, was fork tender, a bit like the Chinese sio bak. As you can tell, Firebake is not just your bakehouse, it has quite an extensive menu. 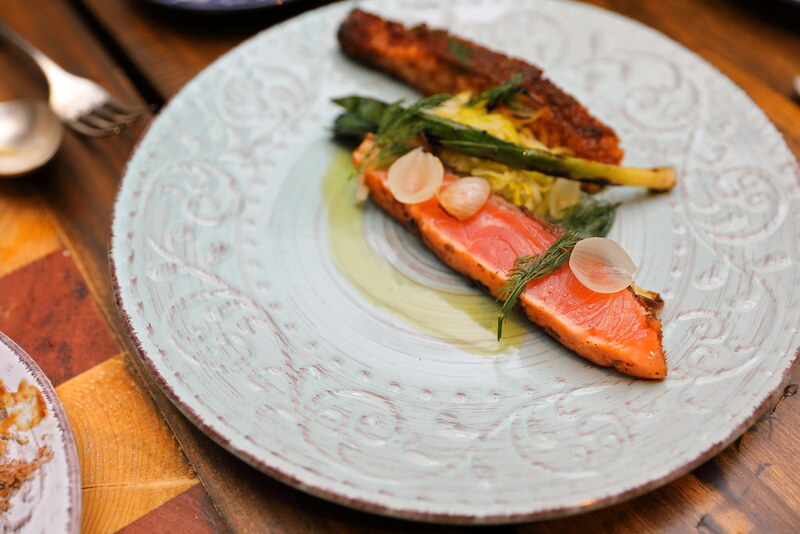 On top of what we have tried, the Cured Norwegian Salmon ($25) and Braised Lamb Shoulder with Root Vegetables ($26) are the other mains which you probably would not want to miss. 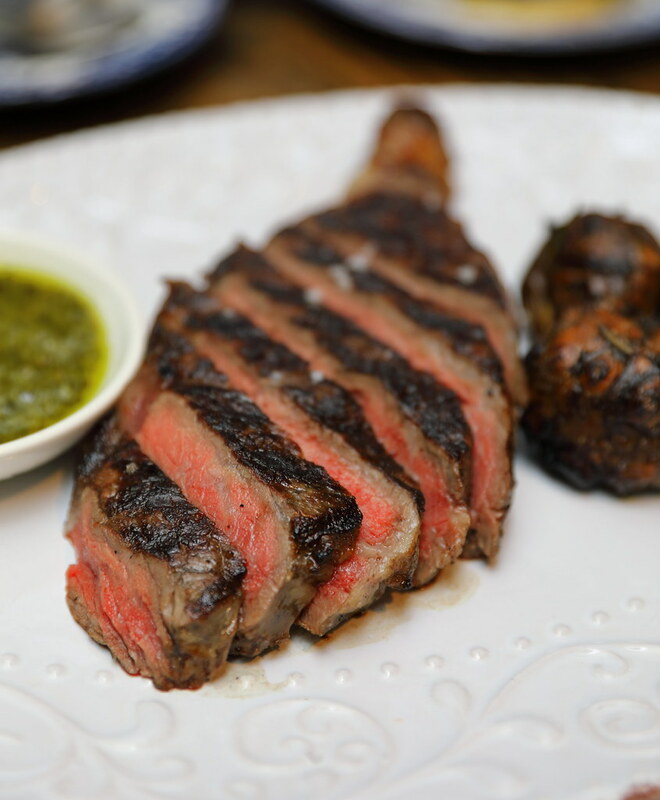 Good for sharing is the Rangers Valley Striploin 300gm ($38) which has cooked perfectly to the doneness I like, succulent and had a nice charred flavour. It was so good on its own, there isn't a need of any sauces. 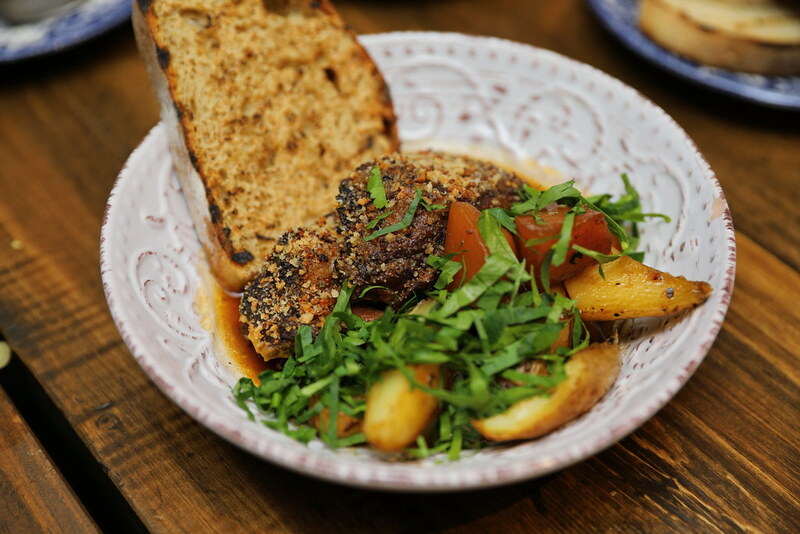 The other joy on the plate is the woodfired Jerusalem artichoke for its crunchy texture and smoky flavour. Moving to dessert, we tried the Peach with Sourdough Ice Cream and Rye Chip ($12). Maybe my taste buds are not as sensitive as others, I do not really know how sourdough ice cream should taste. All I can register is the vanilla base. 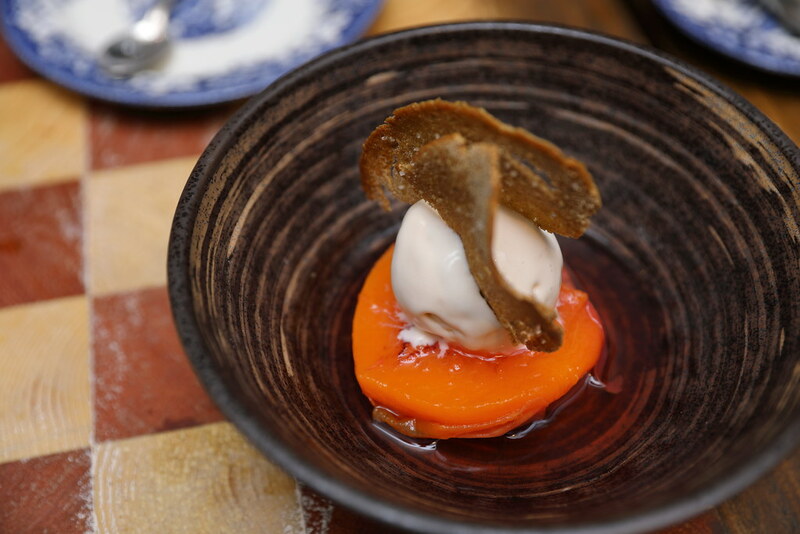 Putting that aside, I enjoyed the combination of the poached peach and ice cream, sweetening the dinner experience. 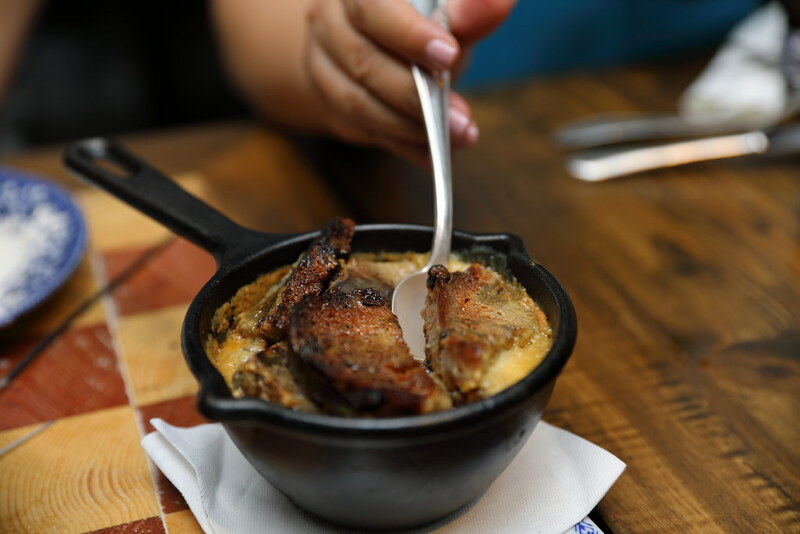 This is probably one of the better Bread and Butter Pudding ($10) I have tried. The soft pudding is made using the woodfire baked fruit sourdough. The warm dessert definitely warmed my heart with its rich flavour.